Whenever you sell something for more money than you paid for it, you face the potential of having to pay capital gains tax. It works both ways, however. If you sell something for less than you paid, you can write the loss off on your tax return and use some of it to mitigate taxes you might owe on other income. The Internal Revenue Service, or IRS, has rules and loopholes in place to help you avoid a large tax crunch if you sell for a profit. 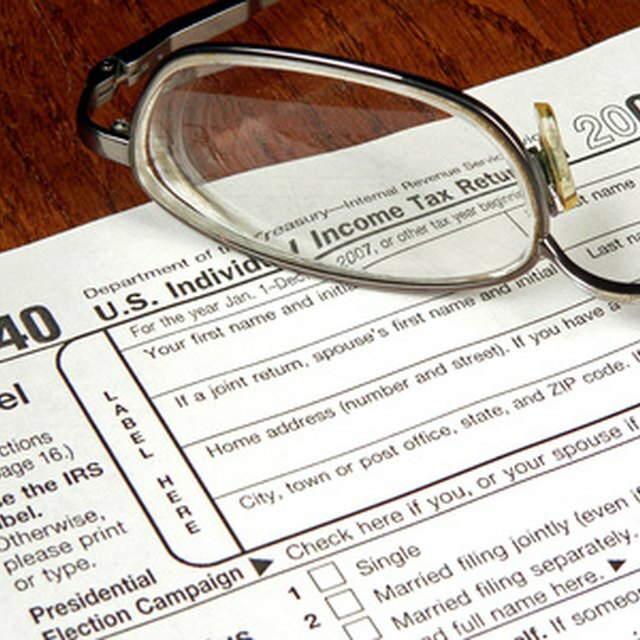 As of the 2010 tax year, the IRS taxed capital gains at 15 percent for most individuals. Exceptions exist if your income is very low, and in some isolated circumstances, the tax could be more. If you bought a property for $200,000 and sold it for $400,000, you would generally owe the IRS $30,000 and you would realize an actual profit of $170,000, not $200,000. The IRS allows you to sell a property, then buy another property of “like kind” to avoid paying capital gains taxes. “Like kind” means you are purchasing another piece of real estate. You can’t escape the tax by selling property, then investing in stocks. The IRS gives you 45 days to find another property to transfer your money into. To qualify for this tax break, called a “1031 exchange,” you must work through a third party called an “accommodator” who doesn’t stand to gain or lose anything in the transaction. Your investment money moves from the sale of your first property to your accommodator, then into another property without depositing the funds into your own bank account. Between the date of closing on the sale of your initial property and midnight of the 45th day, including weekends and holidays, you must “identify” or let your accommodator know what new property you intend to purchase. Within 180 days of closing on your old property, you must close on your new property to avoid capital gains taxes. The exception is if your tax return is due before the 180-day period expires. Then you must close before the tax-filing due date. This doesn’t always mean April 15, however. You might conceivably take an extension on filing, but if that extension takes you past 180 days, this doesn’t buy you more time to close on your new property. The 180-day deadline would then apply. Reinvesting to escape capital gains taxes and the IRS' 1031 exchange rules apply only to investment and business properties. The sale of your home is usually exempt from these taxes, even though they are technically due on anything you own and sell for a profit. If you purchase your home and live in it for at least two years and then sell it, you can claim it as your residence and avoid capital gains taxes. You have the option of not reinvesting all of the proceeds realized from the sale of your first property. However, the IRS taxes whatever portion you keep at the capital gains rate.